Give your loved ones full protection from carbon monoxide and smoke with the 5800COMBO-CN from Honeywell. 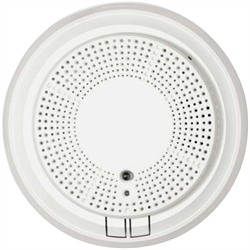 Offering professional wireless monitoring, this combination carbon monoxide and smoke detector provides highly accurate threat detection while lessening the potential for false alarms. The unit’s electro-chemical sensor monitors CO in the air while the photoelectric chamber senses for airborne smoke particles. Installation is simple and can be done in minutes without the need to call in a professional. The 5800COMBO-IN comes with a universal mounting plate that allows for it to be mounted directly to the drywall or in common back boxes. 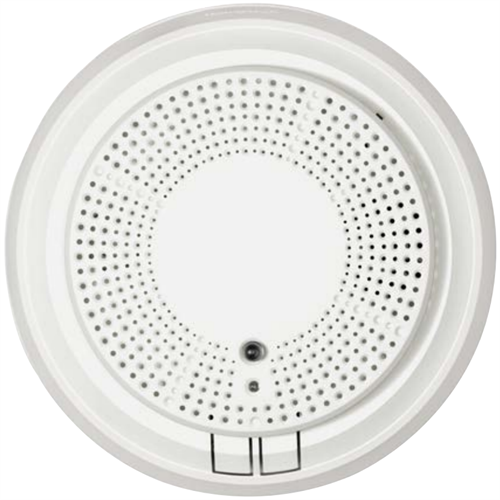 When triggered, the detector will not only sound an audio alarm but also have a 360-degree viewable LED light that will flash either red for a smoke detection and blue for carbon monoxide. The unit will also send notifications when the battery is low and when it starts to get close to its end-of-life cycle. Compatible with Honeywell’s 5800 series.